Under the direction of Carlos Elias, this ensemble is comprised of our top student musicians from over 25 different schools and home schools in Clark, Champaign, Logan, Greene, Miami, Montgomery, and Shelby counties. Since 1959, the SYS has provided one of the few opportunities in this area for young musicians to play in a full orchestral setting. Each season features several concerts and weekly rehearsals in the educational environment of the John Legend Theater. » Sectional coaching by members of the SSO. 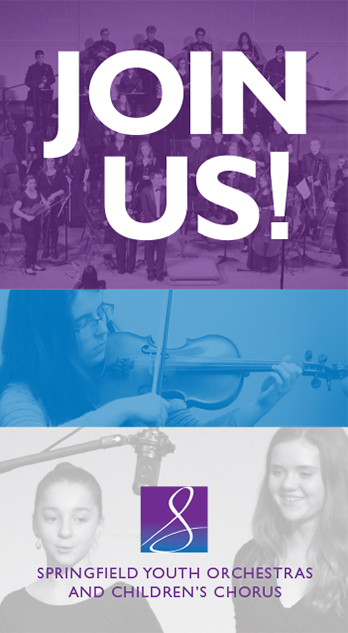 » Chamber music opportunities with a Brass Ensemble and Woodwind Quintet, String Quartet and Percussion Ensemble. 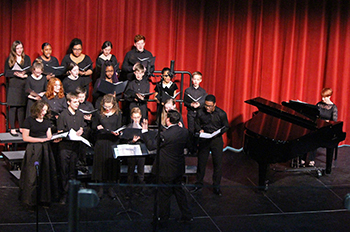 These small ensembles are featured in numerous performances throughout the school year. Students are chosen by audition. » Master class opportunities with SSO guest artists. » Project Protégé, a program in which select SYS string players are invited to perform with the Springfield Symphony during a subscription concert. » A Concerto Competition for SYS seniors. The winner performs a solo with the SSO during the Side-by-Side concert. » Collaborative opportunities to enhance each student’s participation in the arts. 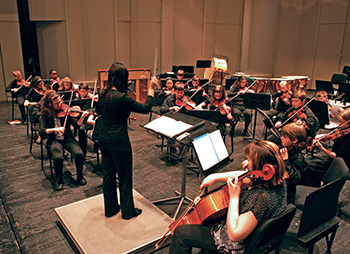 The Youth Orchestra program has participated in exciting collaborations with the National Trail Parks and Recreation District, The Gary Geis Dance Company, The Springfield Museum of Art and the Clark State Community College Theater Program. The SSO has further enhanced the educational opportunities of young area musicians by providing beginning and intermediate ensembles just for stringed instrument players. The Youth String Ensemble is for beginning strings students who have at least one year of experience performing in an ensemble. 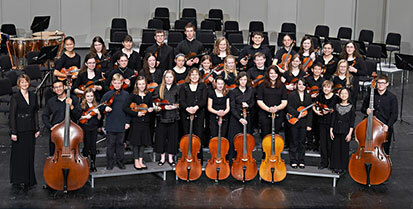 In some cases, SYSE is the only strings group available for new students to play in. Students build their technical and performance skills under the leadership of Janet Fu. SYSE rehearses at the John Legend Theater on Monday nights, from 6-7:30pm. Julie Ellis conducts the Youth Chamber Orchestra, a group that is designed for students who have approximately three years performing in a group and studying their instrument. This ensemble focuses more on the skills that make a group of musicians sound good together and less on individual playing technique. Ideally, students in this group are preparing to move up into our Youth Symphony. SYCO rehearses at the John Legend Theater on Monday nights, from 7-9pm (just like the SYS!). Established in 2012, the Springfield Children’s Chorus is open to students in grades 5 through 10 in Clark and neighboring counties. In affiliation with the Springfield Youth Orchestra, the Springfield Children’s Chorus brings young singers together every Monday night for rehearsals at the John Legend Theatre in downtown Springfield. Under the direction of Sean Hurley, the goal of the Springfield Children’s Choir is to unite students of all backgrounds in song by improving their vocal skills, developing a love of music, and building lasting friendships. 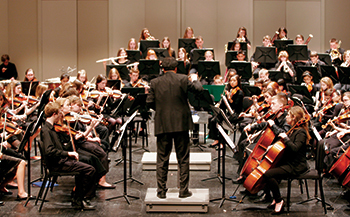 Audition for the 2018-19 Springfield Youth Orchestras. SYO and SCC auditions for the 2019 season will be held on Thursday, May 23, 2019, at the John Legend Theater, from 6-9pm. Applications are due Friday, May 3, 2019. For more information, click on the image above. To apply for an audition, click here. 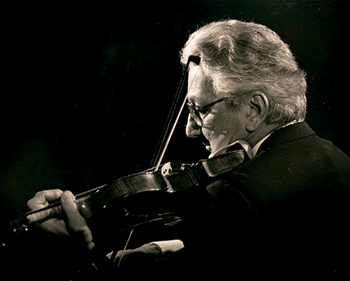 John Smarelli was a member of the Springfield Symphony Orchestra for 42 years, serving as concert-master, assistant conductor, and conductor of the Youth Symphony for eight years. John Smarelli is fondly remembered by SYS alumni for his passionate approach to the music, and his demand for hard work and perfection from each and every orchestra member. The John Smarelli Scholarship was established when John retired from conducting the SYS. Graduating SYS members who plan on continuing their music education at the college level are eligible to apply for the scholarship. A generous gift from the Ruth B. and Thomas F. Mackey Charitable Trust enabled the SSO to endow the John Smarelli Scholarship Fund, insuring that John’s legacy will continue for generations to come. We invite you to share in this legacy by making a contribution to the scholarship fund. Donations can be made to the scholarship fund through the Springfield Symphony office, or by clicking here.